If you hang out with me on Instagram, you know that we’re in the middle of 31 days of decluttering our homes. Week by week we’re cleaning out all the excess stuff out of our lives. 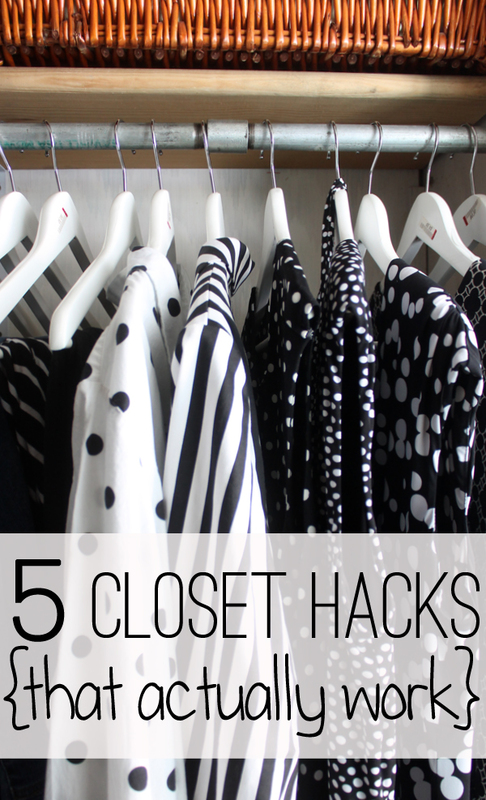 This week was the bedroom – so I thought I’d share five closet hacks that actually work. I know all of these work because I use them – and love each and every one. Need more hanging space? Simply take the tabs from soda cans and loop one hole through one hanger and then let it hang down. Then slip another hanger in the bottom hole and it will double your space for free! Tired of clothes slipping off the hangers? 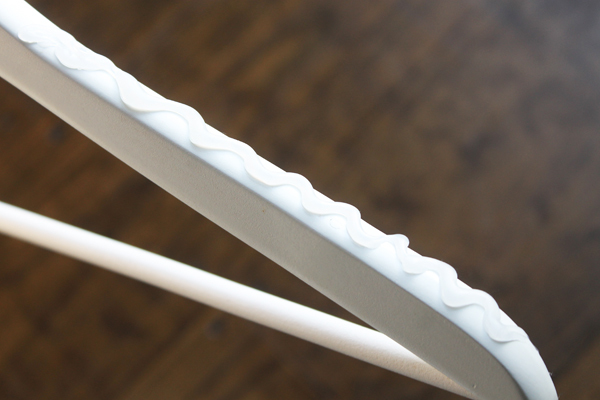 Simply put a wiggle of hot glue on each side of the hanger and let it dry, then put your clothes back on and no more slipping! 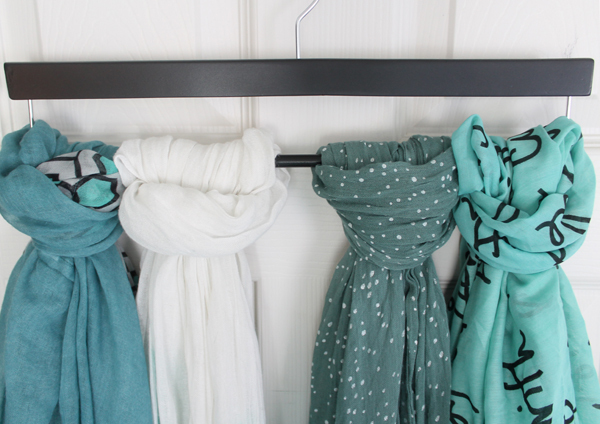 Got a scarf addiction? Loop them onto coat hanger to hang them up and keep them all neat. Have more tips? Share them in the comments – I love learning new tricks! And, although it’s not a closet hack, I highly recommend making sure your closet is bright enough that you can see everything. I didn’t even realize how dark mine was until I change my bulb! 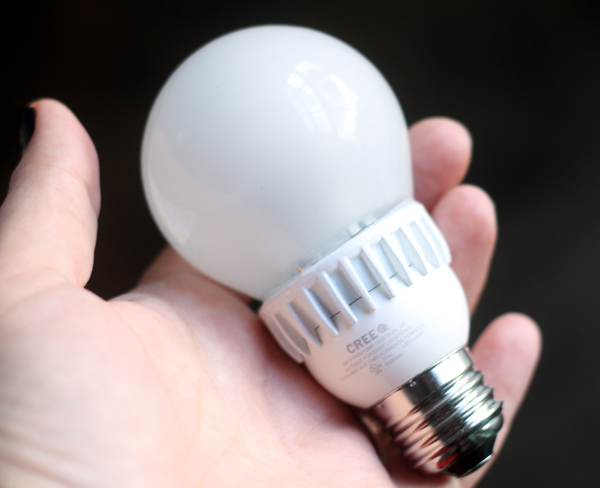 With the quick change of from my old bulb to this new Cree Bulb made a huge difference. No more mixing brown and black – yay! It also helps with getting your makeup colors correct, too – so double win! Fabulous tips. I so need to tackle our closet and really clean it up and purge. Yup, decluttering too! Love the soda can tab idea. Between my husband with his beer and me with my diet Coke, we certainly have enough of them to try this. I definitely use the scarf trick and have been meaning to use the soda tab trick. I also hang my belts in the same way as the scarves! 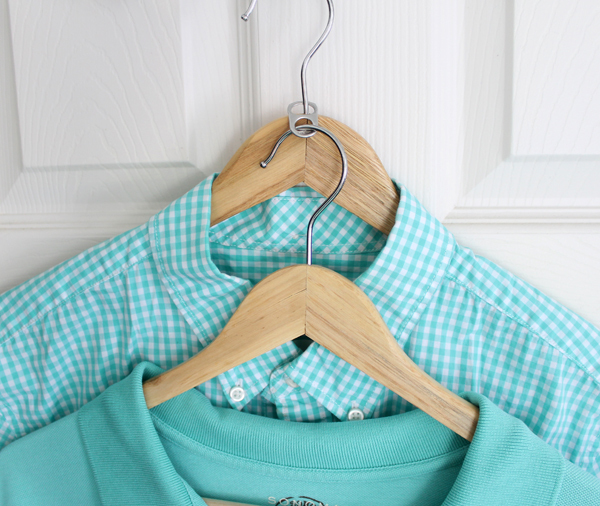 Great closet hacks! I have to try these. My husband’s clothes take up too much space in our closet! Was so excited to try something so simple! It did nothing. The glue was just as slippery as the hanger itself. Now why didn’t I think of this one so frusrating looking in closets especially ones built way into a corner one couldn’t even guess much less know what’s stashed there so thanks for the tip Gina would like to try some built in lghts on ceiling of closet to see what’s doing there hope can get a set for this area hope you 7 family are doing well after seasons down time know was hard for me this year as so much taking place however on a more even keel now so take care love new ideas . Sandra . Pool noodles work great in boots also. Love this article, thanks for the tips. I’ve also used pool noodles in my tall boots to keep them upright. 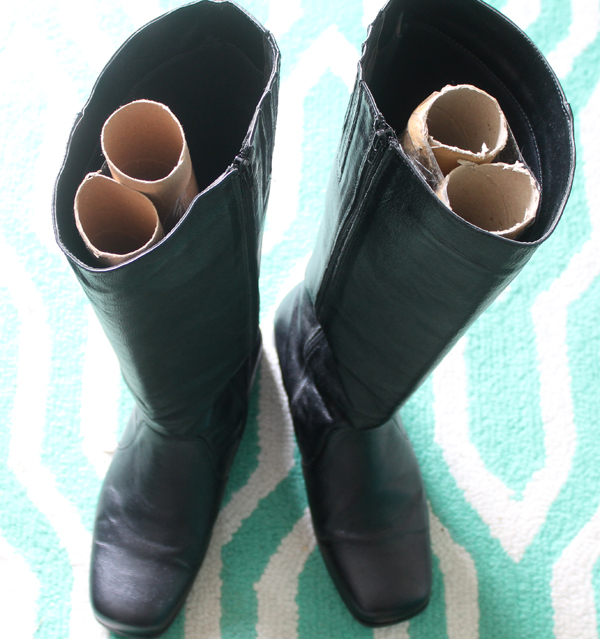 You can get them at the dollar store and get two pairs of boots done out of one noodle…if you didn’t save the wrapping paper tubes from Christmas. I wish I did. It’s a great idea! I love a good closet tip. And this is perfect because I’ll be organizing closets today. And that video is amazing! love the closet ideas… Also I love, love, love your hair. Did you color it yourself and if so what did you use? Excellent post.Ι absolutely love this site. Thanks! Great advice. But I have another one. If you have double deckers in your closet (for blouses and pants or skirts), hang the pants and skirts on the top rod and the blouses on the bottom. Pants and skirts are usually darker and can be seen easier if on the top. Since I’ve rearranged mine, I now no longer have to take the pants to another room to tell if they are dark blue, black or brown. Try it, it really makes getting dressed easier. Did everyone know thie t-shirt folding trick but me? That video was the most amazing thing on this newsletter! It was like zip zip done every t-shirt folded and looking great! I have to fold them in half again because my husband stacks them in his drawers vertically cuz he has so many, but holy cow so easy. I loved it. ThankYou. Great tricks. These lifehacks help save space. Thank you for the post. I like your site.